Whether you’re a film buff, a museum patron or just like to make stuff, February has something for everyone. From comedic fare to documentaries and international shorts, catch a variety of film screenings this month, visit a museum and explore art and photography exhibits, or let your loved one know how much you care with several hands-on Valentine-making workshops. Enjoy some of that hands-on fun while you learn about historical ink recipes at “The Romance of Red: Crafting with Premodern Color” Feb. 8 at the Erb Memorial Union Craft Center. 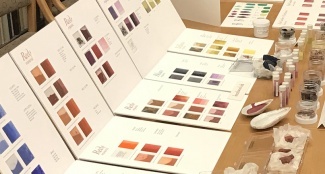 Co-sponsored by the Oregon Humanities Center, participants can sample historical red inks to craft unique Valentine’s Day cards on vellum. The UO’s Traveling Scriptorium, a showcase of more than 100 pre-modern materials used in manuscripts, books and paintings, will be on view at the event. Two visiting artists are slated to speak in Lawrence Hall this month for the Department of Art Visiting Lecture Series. First up on Feb. 7 is Whitney Hubbs: “Trials, Errors and Some Successes!” Reminiscing on her 20-year career as a documentary photographer and conceptual artist, Hubbs creates provocative photographic images that disrupt, disturb and challenge norms and herself. On Feb. 14, Amy Franceschini presents “Provisions ... for Situations Yet to Come,” a lecture about the work of Futurefarmers, an international artist collective that employs cultural activism to create works that explore social and environmental issues. Can you think of a better way to woo your valentine than to create a one-of-a-kind gift crafted entirely from bike parts? Drop by Room 008 at the EMU Feb. 13 for Hubs & Kisses, a night of free crafting using recycled bike parts and materials donated by Zero Waste. On Feb. 2, the Jordan Schnitzer Museum of Art presents “Visual Clave: The Expression of the Latino/a Experience through Album Cover Art: 1940–1990.” This visual exhibition celebrates the unsung graphic artists from 1940 through 1990 who have put their artistic stamp on the vibrant album jackets and covers in the Latin music market. 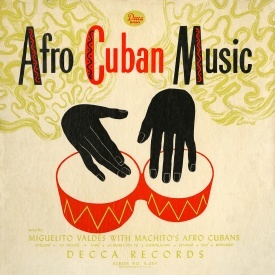 Album covers were an important creative outlet for artists to express their views on cultural, political and economic issues affecting Latin American and Caribbean immigrant communities in the U.S. Clave, pronounced CLAH-vay, is the African-derived 2-3 or 3-2 beat used in Cuban, Columbian, Dominican and Mexican music genres. A music listening station will also accompany the items on view. 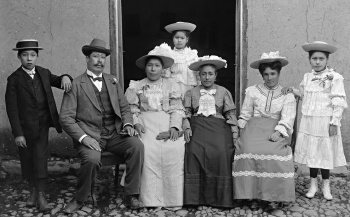 Opening Feb. 16 at the art museum is “Qosqo, entre el pasado y el presente: Photography in Cusco 1895–1945.” Experience a snapshot of life in the region of Cusco in the southern highlands of Peru in the powerful photographic representations by nine photographers of authority, race, class, labor and gender and the region’s indigenous past. Things are always hopping at the Museum of Natural and Cultural History. Come out Feb. 8 for “Extreme Migrations! Tales from the Flyways” to hear Portland State University ornithologist Michael Murphy discuss why migrating birds fly thousands of miles every season and how modern technology is helping us better understand these incredible journeys. Walks, talks and birthday cakes: Celebrate Charles Darwin’s birthday at the history museum Feb. 12 and learn all about the “R”-evolutionary career of this renowned scientist. Mark your calendar for Feb. 21. You won’t want to miss Museum After Hours: A 21+ Evening at the Museum, where grownup people can experience the Dinosaurs Take Flight exhibit, create fossil crafts or participate in a paper airplane contest, all while enjoying good food, adult beverages and live music by Ray Troll and the Ratfish Wranglers. Bring the family out on Feb. 23 for Winter Family Day. Participate in games, activities, crafts and performances associated with the new “Flying Feathered Dinos” exhibit. Heavily influenced by his upbringing in the barrios of Los Angeles and Mexico, hip-hop artist, activist and scholar Olmeca brings his bilingual blend of hip-hop and Latin alternative music to BE Cultura at the EMU ballroom Feb. 26. Not only is Olmeca a gifted performing artist, but his social commentary and community efforts also have earned him a reputation as a respected keynote university lecturer. Then, on Feb. 13, Schnitzer Cinema: AIFF Best of Fests presents “Mr. Fish: Cartooning from the Deep End” with guest cartoonist Mr. Fish — aka Dwayne Booth — who will speak via Skype. This independent, word-of-mouth documentary directed by Pablo Bryant follows an outspoken editorial cartoonist struggling to pay bills and keep his family afloat in a dying industry. 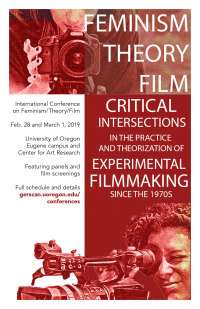 Finally, delve into feminism and theory and how it has affected filmmaking at “Feminism, Theory, Film: Critical Intersections in the Practice and Theorization of Experimental Filmmaking since the 1970s,” a film conference slated for Feb. 28-March 1 at Erb Memorial Union’s Crater Lake South, Room 145. Be sure to also catch screenings of experimental filmmakers Euan McDonald, Lina Sieckmann and Miriam Gossing taking place Feb. 28 at the Center for Art Research in Eugene. 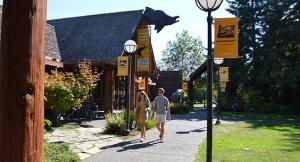 The conference is sponsored by the Oregon Humanities Center and the Department of German and Scandinavian. 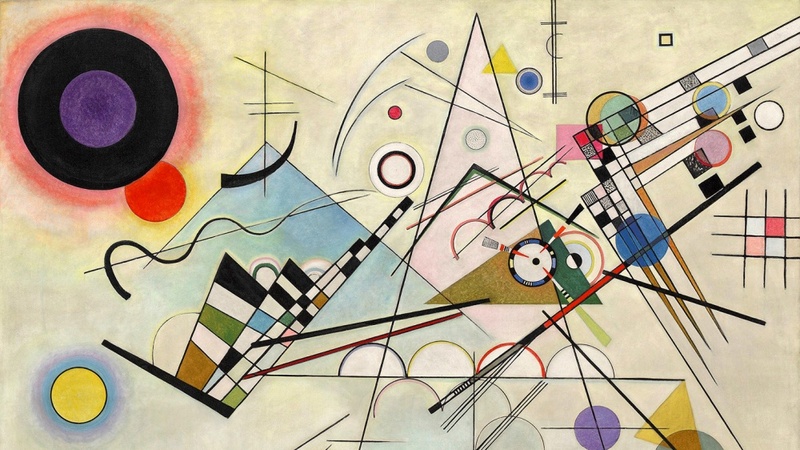 For the first time in more than 20 years, a deluge of books, movies, music and art from 1923 are flooding into the public domain, giving people the opportunity to freely read, adapt or reuse the materials. Check out the UO Libraries’ staff pick and highlights from the Public Domain Day digital collection. While you’re perusing the collections, also check out the Accessible Archives of African American Newspapers, a database with sources from the 1800s to today. In advance of the upcoming Eugene Ballet/Orchestra Next production of Prokofiev’s “Romeo and Juliet,” Eugene Ballet Music Director Brian McWhorter and guests from the UO and Linfield College will host “Ballet Outsider: Gender Politics and Power,” a panel discussion on the state of ballet Feb. 6 at Berwick Hall, Tykeson Rehearsal Hall. Come for the brew; stay for the free pub talk. On Feb. 5 the Ax Billy Grill & Sports Bar at the Downtown Athletic Club UO geographer and InfoGraphics Lab executive director Jim Meacham will present a Quack Chat titled “Mapping the Wildness of Yellowstone.” The former cartographic editor for “Wild Migrations: Atlas of Wyoming’s Ungulates,” Meacham is known for his treks into the field alongside wildlife biologists, archaeologists and other atlas colleagues to understand and map the terrain.